ESIPP conference: "Help and support for parents with autism"
Faculty of Philosophy, University "Ss. 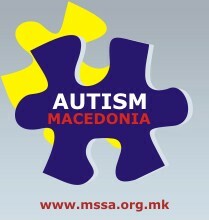 Cyril and Methodius"
We would like to inform you that a cooperation has been established between the Macedonian Scientific Society for Autism and the Institute of Microbiology and Parasitology at the Medical Faculty in Skopje. 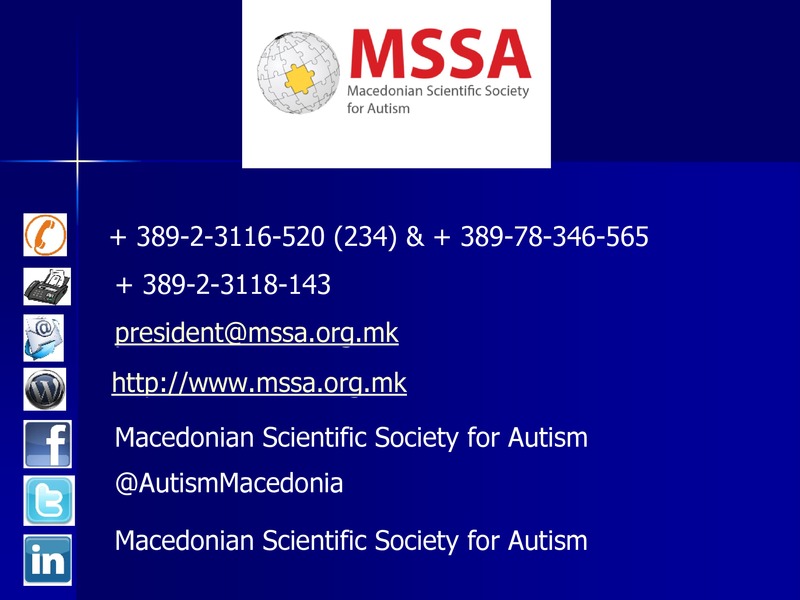 At the request of my colleague Dr. Gordana Mirchevska to free feces analysis of at least 35 children and youth who have an autistic spectrum of disorder, the director prof. Prof. Dr. Kakja Popovska, positively responded. For all those who are interested in this issue, it is known that the GIT of children with ASD is often overgrowth with the pathogen Candida albicans and some helminths. A positive finding will mean providing adequate anticandial and antihelmetic therapy, thereby improving the symptoms of your children. Knowing the material financial status of families who have a child with ASD I decided to ask my colleagues from the Institute to meet you. Studies have already lasted for two months and few reagents remain. You will be able to take the faculty of analysis of this institute located in the old building of the Institutes, or opposite the Ministry of Health. You, as parents, need to purchase a sterile bottle of foxes (buy it) or go personally to the Institute and ask the colleague Dr. Gordana Mirchevska to give you a bottle. Then, in the coming days when the child will defecate in the morning, take a spoonful of feces to take it in the bottle and immediately deliver it personally to it. I would like to mention that no referral from a family doctor is required, nor was any payment for the service. The number of analyzes is limited up to 35 and therefore you will have to hurry. At the institute you will be able to go every working day from 10:00 to 14:00. In order for there to be no wrong diagnoses and possible abuse from other parents, the parents will have to contact me first, and then I will approve that they really have ASN their children, and only then with my recommendation to go to the Institute. I would like to extend my gratitude to my colleagues on this occasion: Dr. Gordana Mircevska, for the readiness to be available to our parents and the director, prof. Kaka Popovska, Ph.D., on the smooth provision of this cooperation. MSSA does not cease to care for the health of people with an autistic spectrum of disorders. In the presence of a large number of colleagues and associates on October 2, 2018 we have promoted the Guide to a museum program for children / people with autism and their families as a part of the final activities of the project Open museums. At the official promotion, the public was addressed by the Deputy Minister of Labor and Social Policy, Gonul Bajraktar, Director of the National Museum of Macedonian Struggle, Daniela Nikolova, Nora Shakiri-Markovikj from the Ministry of Culture of the Republic of Macedonia and the partners of the project – prof. Dr. Vladimir Trajkovski from the Macedonian Scientific Society for Autism and Marija Deletikj from the POU Dr. Zlatan Sremec from Skopje. The activities continued with the presentations by the authors of the guide, MA Danijela Trajkova-Krstikj, Dr. Jasmina Troshanska and Ana Shikaleska. This was actually part of the Museum Workshop Seminar, attended by about thirty professionals that are working on education from several institutions in the country. The project “Open Museums – promoting inclusion, education, social justice and accessibility of museums” is a program activity of the National Museum of the Macedonian Struggle with which we mark the 2018 European Year of Cultural Heritage. With this project the Museum of the Macedonian struggle also marked the manifestation European Days of Cultural Heritage, which this year is being realised under the motto “Art of sharing” .The project is funded by the EU Delegation.